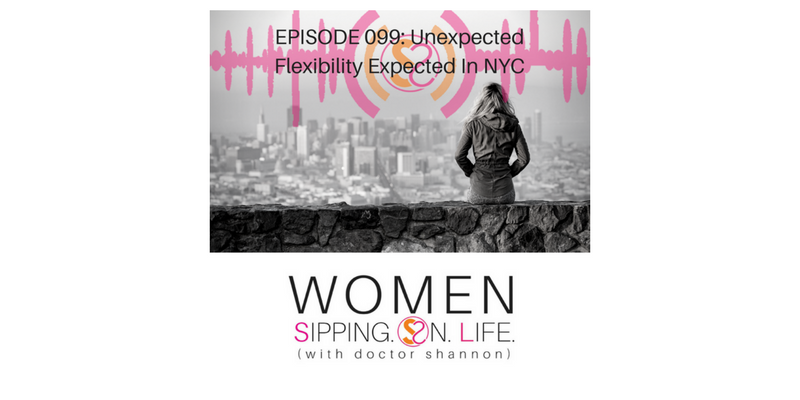 Today’s episode is a great reminder that life has a way of expecting our flexibility in the most unexpected ways…. Here are 3 secrets that helped me get through my day without completely snapping in two. Where are you experiencing something in your life that’s expecting you to be flexible? Be willing to flex or you’ll break. 1. Know what you desire. Keep sipping. Bitter or sweet. Unexpected or expected. Where do you have things going on in your life that are unexpected, yet expecting your flexibility…and you feel as though you’re ready to snap? Write down where in your life you feel as though you’re about ready to snap. Remind yourself of what you desire. Remind yourself to be kind to yourself. Commit today that no matter what, you’re going to keep going. I’m proud of you. Be proud of yourself too.